File Photo Warren’s Owen Richardson, seen here eyeing a drive in a 2017 golf event, returns to the links for Warriors’ coach Nathan Evans. Richardson will be an important part of Warren’s team in 2018. According to the OHSAA, the first day of golf coaching is Wednesday and the actual season tees of Saturday. Therefore, the Washington County Championship golf tournament at 8 a.m. Friday at Oxbow Golf Club at will be an exhibition. 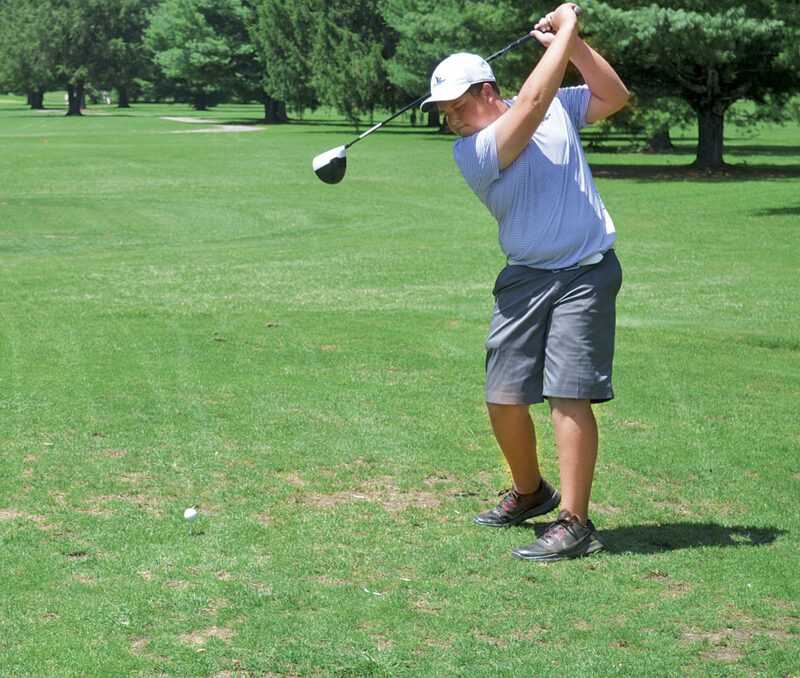 Be it a scrimmage or a regularly-scheduled match, five local schools — Warren, Marietta, Waterford, Fort Frye, and Belpre — will be going head-to-head on the links, and coaches will get an opportunity to evaluate their golfers in action. Warren, the three-time champion of the event, is expected to field another solid team. The Warriors graduated a couple of good ones in Indiana University of Pa.-bound Nick Ward and Casey Rafferty, but have a nice nucleus of returnees. This season, the royal blue and white team will be featuring Austin Barta, Chance Weihl, Seth Dennis, Owen Richardson, Cole Fairbanks, Caden Eddy, and Jordan Ball. Barta and Weihl both competed and fared well on the Callaway Junior Tour this summer. Warren also will be able to field a full girls squad, coached by Andy Biddinger, this fall. Marietta will be under new leadership this season with Bryan Whittekind succeeding Chad Deem at the helm. Last year’s Tiger team graduated seven seniors, including individual state qualifier Gage Herb and Ohio Valley University-bound Caleb Scharf. Also receiving their diplomas were Heath Hill, Matthew Earley, Jared Hollister, Zach Mallett, and Lake Satterfield. “We have 28 kids coming out for the team, which shows that there’s quite a bit of interest in the program,” Whittekind said. Of those golfers, only two — Lucas McVicar and Justin Hartley — have varsity match experience. 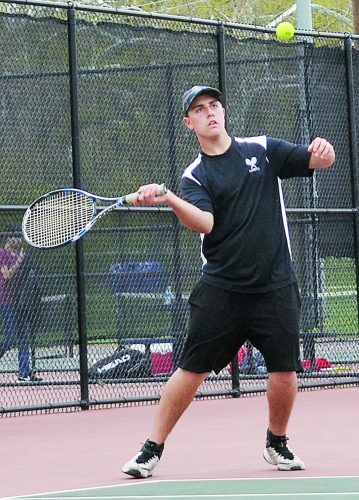 “Each got into one varsity match last year,” Whittekind said. MHS could potentially have eight girls out for the team, but until a coach is hired, the squad will be co-ed, Whittekind said. Whittekind will be assisted by Brandon Herb (JV) and John Doughty (junior high). 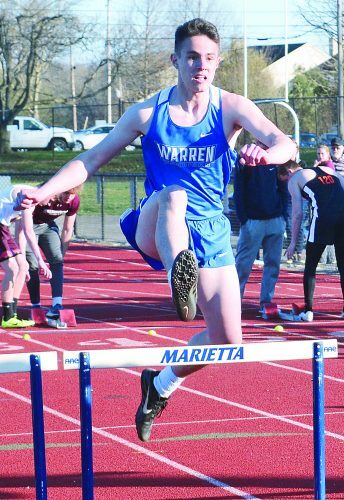 The Waterford boys team will be featuring Wes Jenkins, Brooks Suprano and Matt Semon this season. And, they will be Will Huck, Caid Coleman, Payton Powers and Braxton Leister. 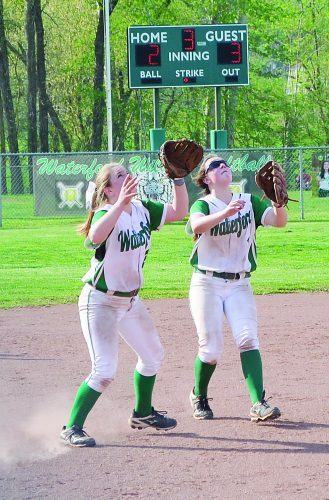 “We did lose some good players due to graduation,” Offenberger said, “but we have a great group of returnees who are willing to put their head down and work hard and strive for our goals for this season. 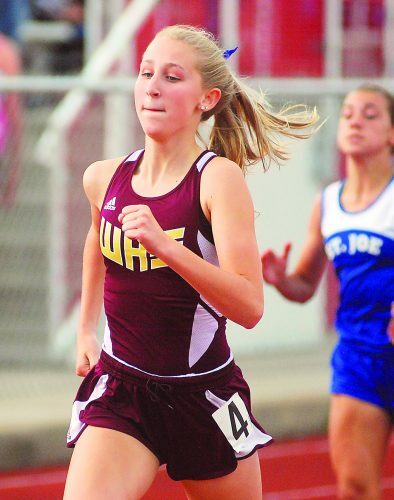 The Waterford girls team will be seeking a fourth straight appearance at state this fall. From last season’s team, the Wildcats graduated Kenzie Dietz, Liz Leach, Abby Eichmiller, and Bri Hart. Dietz (University of Charleston), Leach (Rio Grande) and Eichmiller (Rio Grande) will all be competing at the college level this fall. Ashley Offenberger will be the Cats’ marquee golfer this upcoming season. Fort Frye is expected to be led by Derek Joy and Devin Layton. Look for Bryce Schilling and Eithyn Fogle to also be in the line-up. 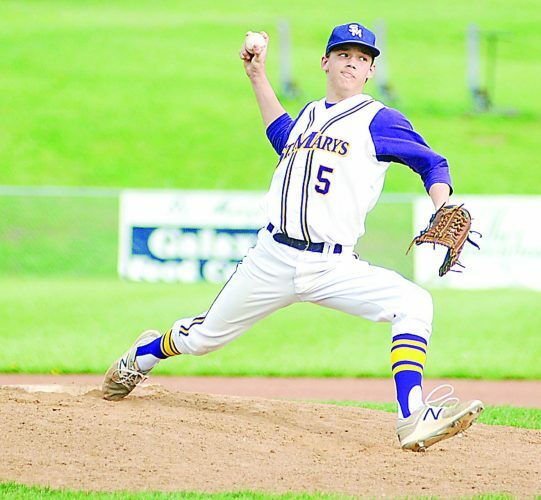 “For the size of our team, I think we should do pretty well this season,” said Cadets coach Doug Pfeffer. Of the Cadets who graduated, Ben Wagner will be golfing for Marietta College and Madison Duskey, for the University of Rio Grande. Belpre will have six golfers on its roster — Maddie Roby, Jerimiah Stitt, Eric Dotson, Matthew Deems, P.J. Hostottle, and Dalton Kimble. Roby, a district qualifier last year, is a team captain. Dotson is a transfer from Parkersburg Catholic and Hostottle, a transfer from Warren. Deems, a Wood County all-tournament team honoree as an eighth-grader last season, also runs cross country. And, Stitt is an all-around athlete in basketball, baseball, and golf at Belpre. He will not be available for the scrimmage Friday due to a college visit. “These are very coachable kids, and we just want to get better and better in every match we play,” said third-year Golden Eagles coach Kyle Scott.